Please join Congressman Patrick McHenry and attorneys Samuel Guzik and David N. Feldman in a one hour Webinar to be held on March 13, 2014, 1;30 pm, EDT,. The Webinar will be moderated by Dara Albright, of NowStreet Wire. The Webinar will focus on the SEC’s proposed Regulation A+ rules announced in December 2013, promulgated under Title IV of the JOBS Act of 2012. Regulation A+ promises to revitalize the smaller IPO market for raises up to $50 million. As proposed, Regulation A+ would permit a company to conduct an IPO under a streamlined SEC registration process, with lighter ongoing disclosure than is available to companies going public through a traditional SEC registration. The Webinar will address both the fundamentals of Regulation A+, and how it can be expected to be useful for smaller companies, either as a traditional IPO or as a “crowd funded” offering to the public, for offerings up to $50 million. 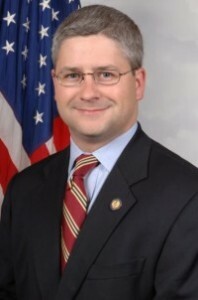 Congressman McHenry, a principal sponsor of the JOBS Act, is expected to address issues of concern which have arisen following adoption of the JOBS Act in 2012, as well as the prospects for “JOBS Act 2.0,” future legislation to address issues which threaten to impair the effectiveness of the enacted JOBS Act provisions. This Webinar is the first in a series of Webinars with Samuel S. Guzik and David N. Feldman, both attorneys with Richardson Patel LLP, addressing developing issues relating to the effective utilization of Regulation A+ as a vehicle to revitalize the smaller IPO market. Regulation A+ is expected to be operational in 2014 following the issuance by the SEC of final rules. For those wishing to view the Webinar live, or to view a recording of the Webinar after the event, please click here for additional information. A special thanks to Dara Albright of NowStreet Wire for organizing this timely Webinar. NowStreet Wire is the preeminent resource for education and insight into the burgeoning industry of global crowdfinance. Since 2012, NowStreet’s Capitalizing on Financial Innovation webinar channel has been helping the financial community as well as the investing public prepare for the rise of the crowdfinance industry. NowStreet Wire was founded by Dara Albright, a thought provoker and frequent speaker on topics relating to market structure, private secondary transactions and crowdfinance. This entry was posted in Capital Raising, Crowdfunding, General, SEC Developments, Uncategorized and tagged Crowdfunding, Crowdfunding Plus, CrowdfundingPlus, Guzik and Associates, IPO, JOBS Act, Patrick McHenry, proposed SEC rules, Regulation A, Samuel S. Guzik, sec, SEC proposed rules, securities attorney. Bookmark the permalink.